It does not have a separate bedroom. It has a seaview and it is only a few steps to the beach. 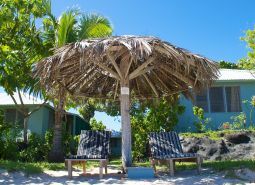 Each bungalow has overhead fans and insect screens over the louver windows.Please note that all accommodations are quoted for a double or two singles. 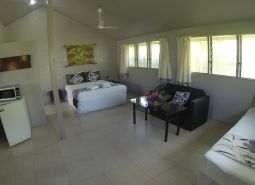 There is a charge for an extra adult or child in the bungalow. All rates are inclusive of a tropical breakfast.